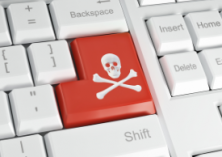 A report commissioned by the Australian government has found a drop in piracy rates for 2016. The fall is being attributed to improved availability of legal streaming alternatives, but in a juicy twist, the report also reveals that the much reviled Aussie pirate is often the industry's best customer. For years, Australian citizens have been subjected to intense criticism over their eager consumption of unauthorized content. Anti-piracy groups have insisted that Aussies simply don’t want to pay, but anecdotal evidence suggested otherwise. Many of those frequenting torrent, streaming, and similar portals have often stated their motivations in different terms. Content providers treat Aussies as second class citizens, they argue, debuting material later, less conveniently, and at increased cost. More recently, however, the situation has been improving and new research from the government suggests that when people are presented with sensible legal alternatives, they are prepared to give up, or at least reduce, their pirating ways. Conducted on behalf of the Department of Communications and the Arts between January and March 2016, the survey sampled 2,400 people aged 12 and up. It aimed to understand consumption of four types of online content – music, movies, TV shows, and video games. It also sought to understand attitudes to piracy, including the role pricing plays in media consumption. As a starting point, the survey found that 6 out of 10 Internet users (62%) consumed at least one item of digital content during the period, up from 60% in the same period 2015. While those volumes are relatively static, there was a difference in how that content was consumed. In 2015, 43% obtained content by downloading but in 2016 that had reduced to 39%. Despite it being the most popular download category overall, the largest drops were witnessed in the music sector, from 29% last year to 26% in 2016. Streaming, on the other hand, increased from 54% to 57% year on year, with TV shows and movies making the biggest gains. “The proportion of internet users who streamed TV programs increased from 34% to 38% (making TV the most commonly accessed content type via online streaming) and the proportion of internet users who streamed movies increased from 25% to 29%,” the report reads. This year the most-consumed content were TV shows (41%, up from 38% in 2015), music (39%, down from 42% in 2015) and movies (33%) and video games (15%). When all four content types were considered, the survey found that consumers streaming content on a weekly basis increased significantly, with 71% doing so for music and videos games, 55% for TV programs and 51% for movies. YouTube remained the most popular services, followed by iTunes/Apple platforms. Unsurprisingly, Netflix is doing particularly well in third place. “In 2016, 27% of consumers or sharers had used Netflix, up from 9% in 2015, and making it the third most popular service overall. The proportion using Netflix for movies increased from 16% in 2015 to 41% in 2016, and the percentage using Netflix for TV programs rose from 12% in 2015 to 31% in 2016, meaning it was the most popular service for both movies and TV programs,” the report reads. Of course, even while authorized content consumption continues to increase, there are still those who choose to frequent unauthorized sources. There has been another decrease this year and drilling down into the figures shows that the situation is far from the catastrophe painted by the entertainment industries. “We estimate that, over the first 3 months of 2016, 23% of Australian internet users aged 12+ consumed at least one item of online content unlawfully, which equates to approximately 4.6 million people. This was a significant drop from the 26% who had consumed unlawful content in 2015,” the report reads. However, in yet another blow to those who believe that genuine consumers and pirates are completely different and separate animals, the survey also reveals that millions of pirates are also consumers of legitimate content. In 2016, just 6% of Internet users exclusively obtained content from pirate sources. And there was improvement in other areas too. When the survey presents figures from Internet users who consumed content in the period (instead of just ‘all Internet users 12+’), 37% consumed at least one unlawful file, down from 43% in the same period in 2015. Using the same parameters, 9% consumed all of their files unlawfully, down from 12% in 2015. Movies continued to be the most popular content on pirate networks, but there was a decrease this year over 2015. “Although movies continued to have the highest rate of unlawful consumption amongst consumers in 2016 (39%), this had declined significantly from 48% in 2015, driven by a significant decline in the proportion consuming ‘100% unlawful’ content from 32% in 2015 down to 23% in 2016,” the survey reports. But while there have been improvements in a number of areas, the volume of content being consumed illegally is not coming down across the board. According to the report, an estimated 279m music tracks, 56m TV shows, 34m movies, and 5m video games were consumed in the three month period. “This represented a drop in volumes for video games and TV programs but an increase for music and movies,” the report notes. However, despite their reputation for being terrible consumers, the majority of Internet pirates are again shown to be the industry’s best customers. In line with similar findings in Sweden recently, people who pirate some content are also more likely to pay. “For each content type, those who consumed a mix of lawful and unlawful content spent more money over a 3 month period than those who consumed 100% of their content lawfully,” the survey found. Unsurprisingly, those who pirated everything spent the least money, but even they have something to offer. Half of the consumers cited convenience as the main reason to use paid services, with 39% citing speed. Wanting to support creators and not wanting to use pirate sites tied at 37% each but the former was down from 43% in 2015. In line with 2015, pirates said their prime motivations for using infringing sites was due to the content being free (52%), convenient (44%) and quick (41%). However, convenience was down from 51% in 2015, with “try-before-you-buy” collapsing from 35% in 2015 to 24% in 2016. In line with 2015, 43% of infringers said that better pricing would be the factor that would be most likely to reduce their consumption of illicit content. Availability came second, with 35% complaining about content not being available in Australia at the same time as elsewhere, and 31% complaining about availability, period. “Only 1 in 20 infringers (6%) said that nothing would make them stop, rising to 1 in 10 (10%) of those consuming 100% of their content unlawfully,” the report concludes. theatrical releases alone last year i think it was and this year as well with Finding Dory worldwide it's made over a billion bucks. that's how big that film got! and no i didn't download that one but i did buy it on blu-ray cause my nephew LOVES It and if he comes over here he can watch it. so to use them as an example i really doubt piracy is hurting them one iota.